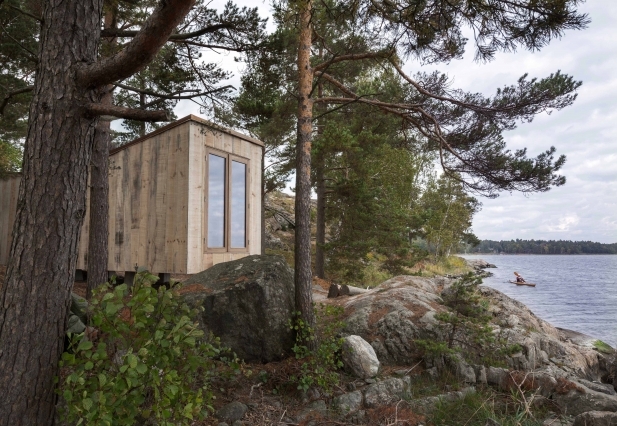 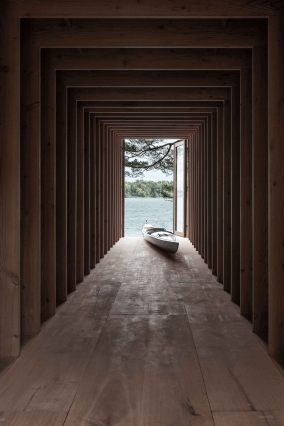 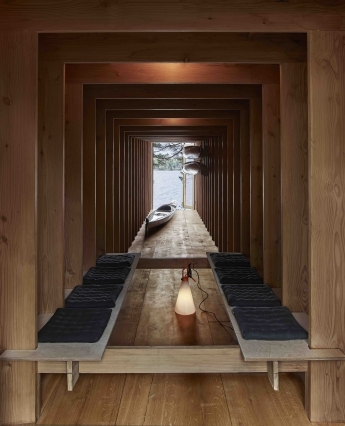 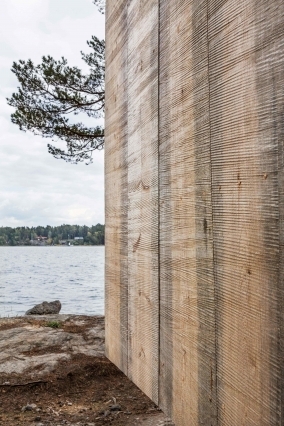 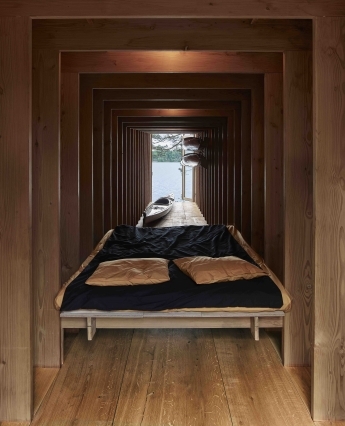 Of finest Douglas Dinesens woodplank a pavillion at the Wallpaper Handmade exhibition in Milano, further it took its way to the Biennale 2014 and was thereafter reused as a structure for a small Kayakhouse in the Stockholm archipelago. 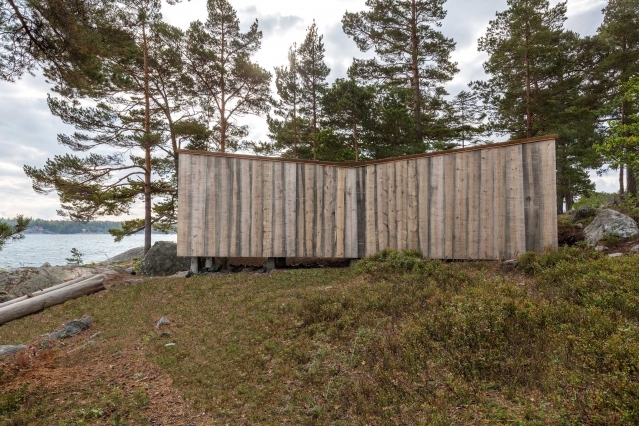 Six pinetrees of the site was used as planks, a non modular but free puzzle of the facade made the most out of the material that was given. 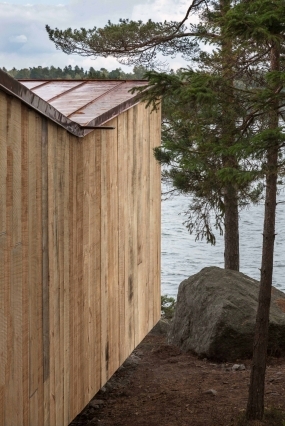 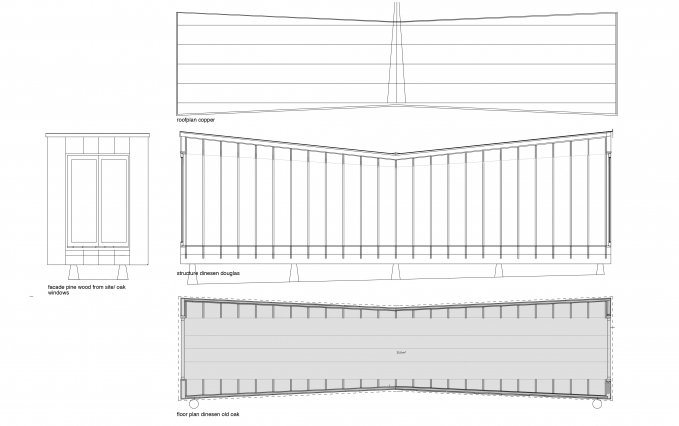 The house stands on 8 plints and are insulated for summer purpose with linen insulation. 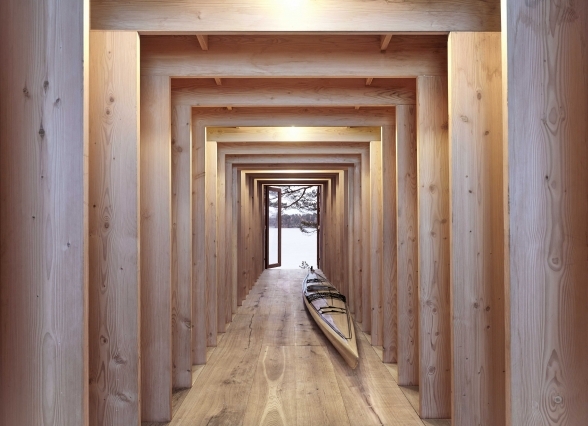 The floors are the also Dinesen floors of old oak. 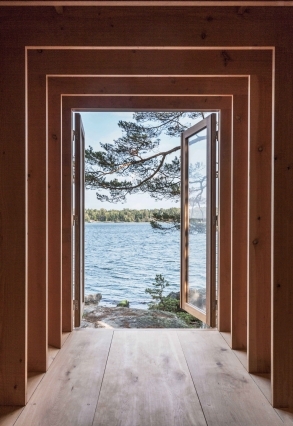 It is entered by window frames of oak from a local carpenter.